“Rippled" effect on shell reduces the appearance of scuffs. Spinner cases feature four multi-directional 360 degree wheels, so you can push or pull your luggage in any direction. 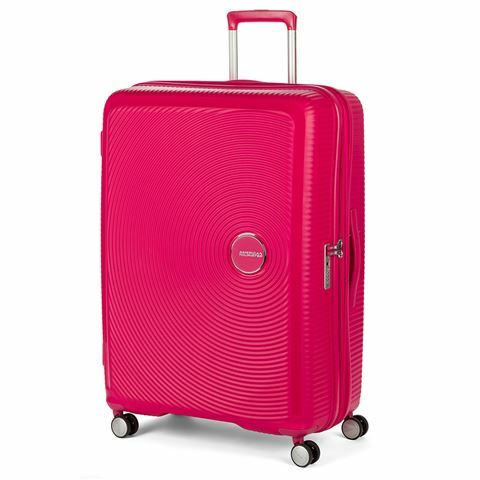 A pocket in the mesh curtain, plus a handy pocket that dangles from the top of the case ensures small items won’t get lost among the rest of your luggage. Dimensions: 80cm (h) x 56cm (w) x 33/36cm (d).